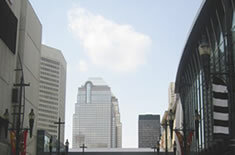 Business Prospects has been serving Alberta companies since 1963, as a reputable, factual, business information source. With 50 years experience, we are your best source for accurate, concise and current sales and credit information. Our goal at Business Prospects is to offer a variety of report options with reliable data, keeping our clients well informed so they can make positive decisions. All information is obtained from authentic public registries. We do not solicit or gather data from our clients.